Creative problem solver with experience in analytics. I received my BA in Neuroscience and Computer Science from Boston University in 2017 and have been working in data science ever since. I enjoy learning new skills and communicating ideas with data. Work aside, I'm a passionate musician and audio engineer. 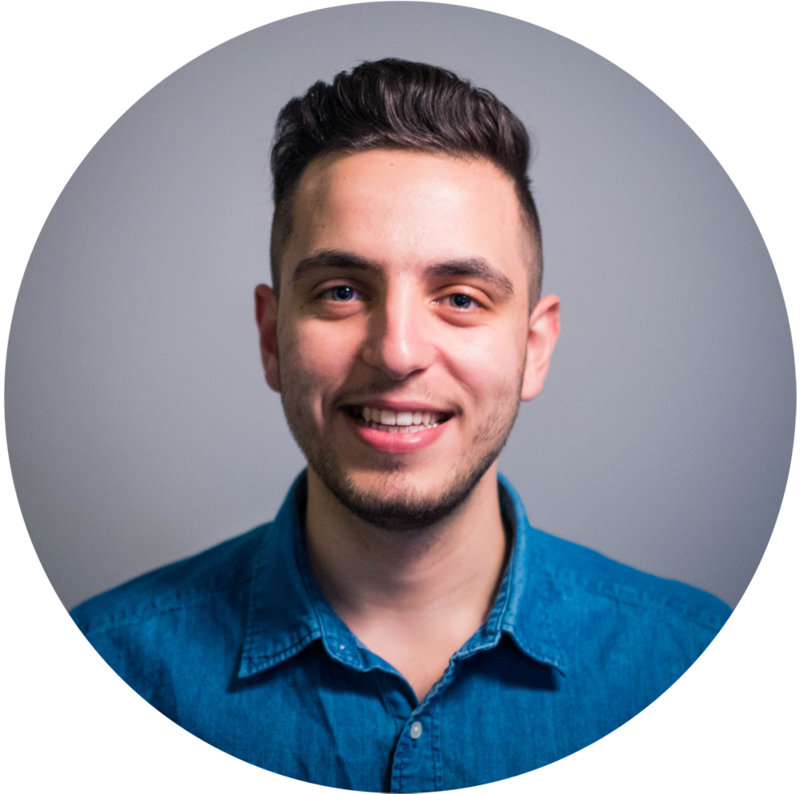 Initially, as a Neuroscience student, I became interested in the applications of data and technology. This led me to extend my studies to Computer Science with a coursework focused on data-science. My responsibilities include leading the development of a new product, owning company projects with clients and improving search and recommendation for the core product. After joining the team at I.A. I was involved with developing recommendation engines, analyzing multidimentional marketing data and developing a distributed crawler. I was a summer intern at StratoDem, a real-estate consulting startup that uses demographic data to build predictive solutions for investors and businesses. I worked in a team of analysts, utilizing data-mining tools to build predictive models for real estate and government data. During my stay, I developed Stratplotlib, a python tool that provided the team with an easy way to create maps and visualize their geospatial data. An example use-case is provided below. This was my first ecounter with programming in the workplace. As a research assistant, I was responsible to manually analyze videos for neuroscience research. I saw room for improvement and wrote python automations that yielded signficant increases in analysis speed. The research article recently got published in "Neuropsychopharmacology"
Volunteering at an MIT startup that is building a new media infrastructure for publishing music content. 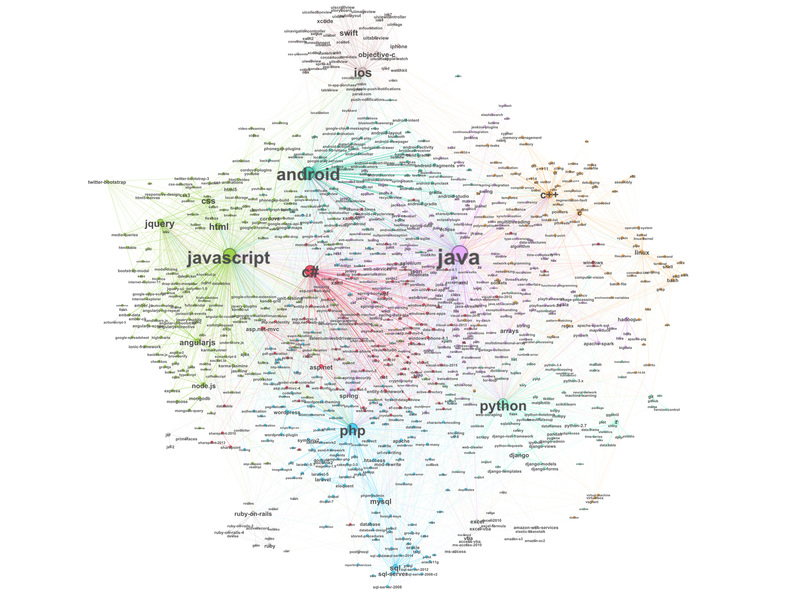 How do programming languages relate to one another? As a confused student in school I decided to answer my question by constructing a network of keywords from the popular tech forum stackoverflow.com. The more often a tag appears with another, the stronger the connection between two tags become. 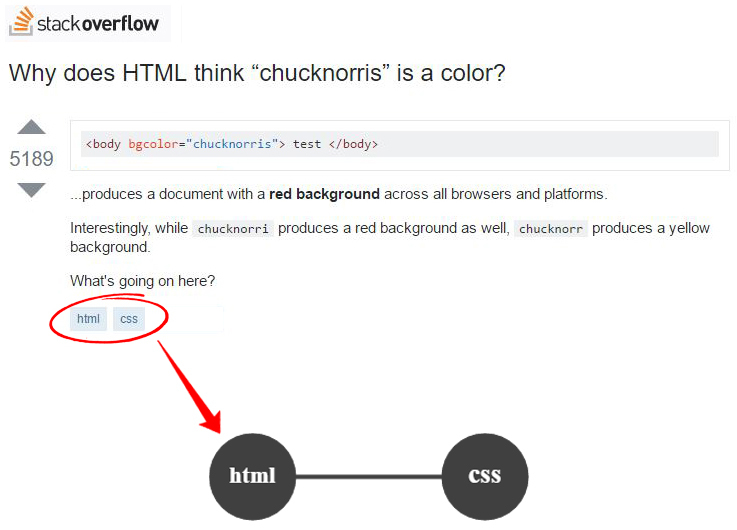 I thought that StackOverflow.com would provide an organic result due to its importance in the tech community. Making a connection out of 1 post would look something like the above. With a few million posts, I was able to get a much more descriptive visualization (below).